Just minutes from The Residences at The Stanley in Estes Park, 415-square-mile Rocky Mountain National Park contains some of America’s most beautiful mountain terrain. 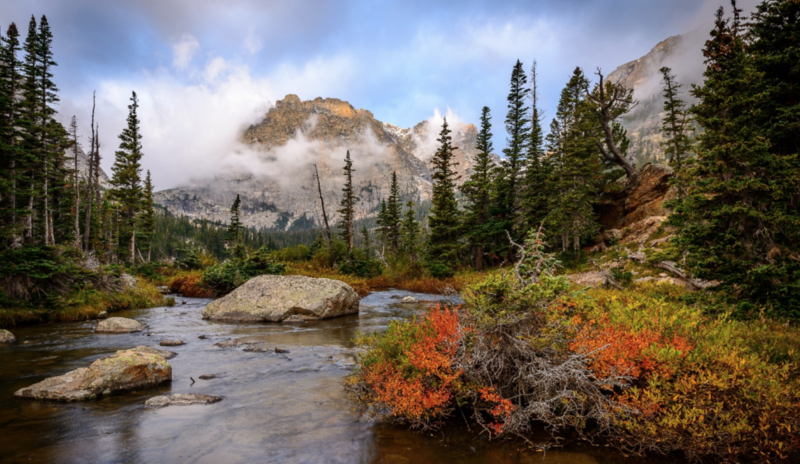 While RMNP is known to offer a wide variety of activities—including fishing, camping, picnicking, biking, hiking, climbing, horseback riding, cross-country skiing, snow-shoeing, sledding, and snowmobiling—most visitors come for the sightseeing. In particular, guests enjoy the breathtaking views that can be seen from Trail Ridge Road. Known as a “scenic wonder road of the world” and nationally recognized as an “All-American Road,” Trail Ridge is Rocky Mountain National Park’s highway to the sky, traversing 48 miles atop the mountain ridges of Northern Colorado. After drivers climb over 4,000 feet in a matter of minutes, this scenic road twists and turns for several miles before finally cresting above tree line at its high point of 12,183 feet. From this height, visitors are able to experience the spectacular views and a wide array of flora and fauna. Located about 90 miles northwest of Denver at 7,522 feet above sea level, Estes Park sits in the heart of the Rocky Mountains. 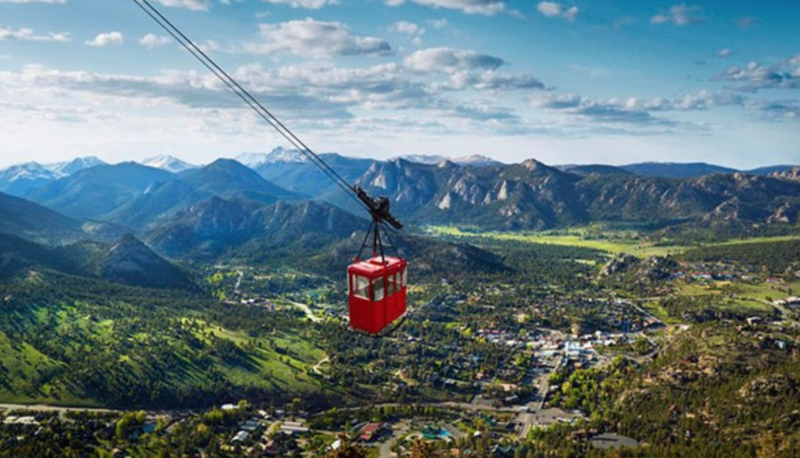 Majestic views span in every direction, along with quintessential scenes you expect from a Colorado mountain town: gold-medal-fishing rivers, fertile valleys dotted with wildlife, iconic snow-capped peaks, and a charming downtown area filled with shops and restaurants. 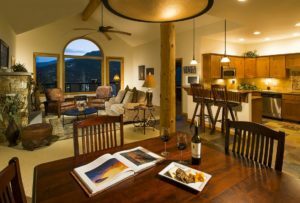 Estes Park merchants, restaurants, and accommodations acknowledge their Colorado heritage by selling locally-made products, serving regional fare, and decorating in Western ranch style. Affordable, accessible, and open year-round, the downtown exudes a casual feel in which jeans and cowboy boots are as common as sundresses and flip-flops. That said, some restaurants also cater to travelers seeking an upscale night out. Shops and galleries offer everything from high-end, one-of-a-kind items to whimsical trinkets and souvenirs. Wildlife is so plentiful that elk often wander the downtown streets. 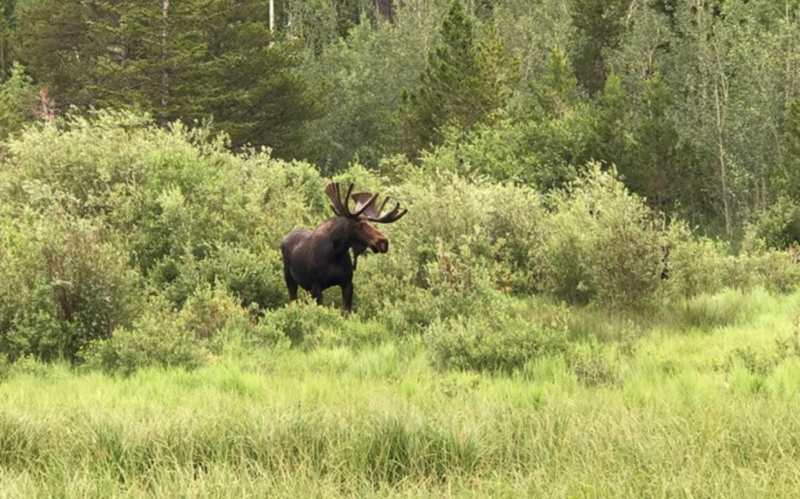 Visitors spy them and other animals while walking the path around Lake Estes, driving toward the historic Fall River Road, or touring Estes Park’s last remaining working cattle ranch, MacGregor Ranch. Sometimes the region’s furry creatures outnumber the humans!